On October 22, 2015, a class-action lawsuit was filed in the U.S. Court for the District of Minnesota against Makita U.S.A. Inc. by Sean Podpeskar over Makita’s BL1815 and BL1830 18-Volt Lithium-ion batteries. The suit alleges violations of Minnesota’s Unlawful Trade Practices Act, False Statements in Advertising Act, breach of express warranty, breach of implied warranty and fraudulent misrepresentation. The back story is that in the summer of 2013 Podpeskar purchased a Makita Cordless Combo Set from ACME Tools, which included an impact driver and a full-sized drill. 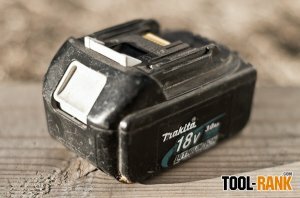 He alleges that after only a handful of uses over a two year span, the included BL1815 battery started to die, and Makita denied his warranty claim. The suit alleges that Makita's BL1815 and BL1830 batteries are plagued by design flaws that result in a premature failure that prevents the batteries from charging, and that despite years of complaints, Makita has not taken action to recall the batteries or to take responsibility of the allegedly defective products. With this class-action lawsuit, Podpeskar is seeking economic and compensatory damages on behalf of himself and all members of the class, restitution, actual damages sustained or treble damages, punitive damages, injunctive and declaratory relief, reasonable attorney fees, and reimbursement of all costs. While I would typically dismiss this lawsuit as just someone looking to make a quick buck, the claim that there are years of complaints against the BL1815 and BL1830 batteries is true. You can even read Amazon reviews where users call for a class-action lawsuit because their batteries fail to charge. One Amazon reviewer breaks down what he believes is the issue with the batteries in question; that there is an internal circuit that prevents the batteries from charging if some of the cells drop to zero, which can happen if they are left to sit for long periods of time. Another reviewer claims that he cannot charge his “bad” battery using Makita’s charger, but that he can charge it with a laboratory power supply. So the battery cells are not bad, yet the battery refuses to charge on a Makita charger. I have been using Makita BL1830 batteries and Makita Tools for years and have never had a problem with them, but I have also never let my batteries sit for long periods of time, since I use them daily. Even to this day, with access to tools from many different brands, I choose to use a Makita Impact Driver and Cordless Drill that are a few years old. I tell you this so you don’t think I am writing this article because I have something against Makita, but because Makita should be held responsible if they did something wrong. With more than a quarter of the BL1830 reviews on Amazon being negative with complains about a faulty product, it sure sounds like there was an issue that Makita was not solving.